Eurodraw Wire Equipment has more than 30 years of experience in the design and construction of plants and machinery for the production of strand and rope for every possible application. 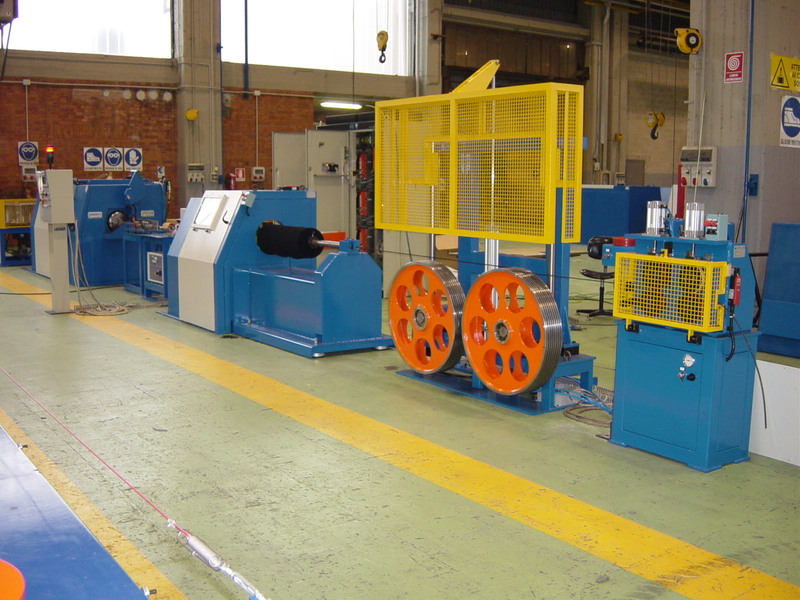 The first covers a complete range of double-twist machines and plants for the production of steel cord to reinforce tires. 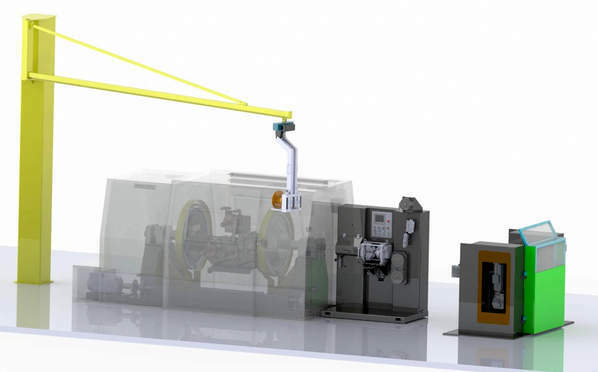 The second includes double-twist, skip and tubular machines for the production of strands and ropes made of bare, galvanized or stainless steel wires. 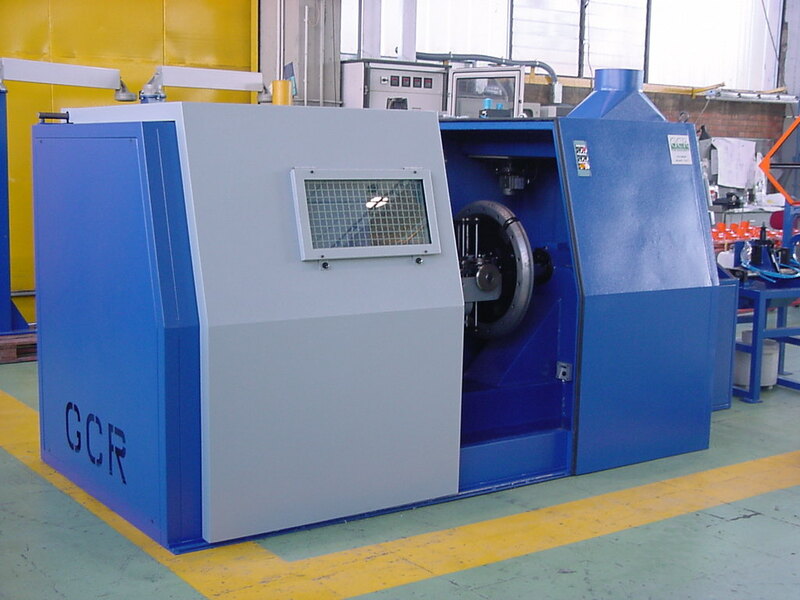 Furthermore, Eurodraw Wire Equipment has developed machines for the production of flexible shafts, flexible shafts with a metal and fabric wrap for screw drives; as well as special ropes to meet specific customer's requirements, with particular characteristics of resistance and fatigue, that are mainly used in the automotive industry. 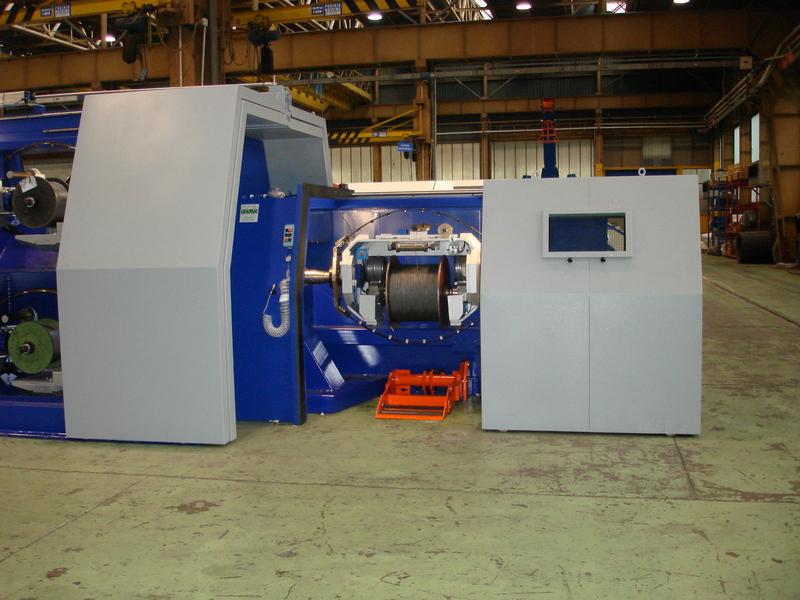 And, last but not least, Eurodraw Wire Equipment offers tubular closing machines for the production of wire rope; and high productivity plants for the production of P.C. strand for the construction industry, with Eurodraw Wire Equipment skip stranders. Overall, Eurodraw Wire Equipment offers a wide range of machinery that covers most of the requirements of the main producers of strand and rope. The only, self-imposed limitation is the maximum diameter of the finished product, which does not exceed 30 mm. 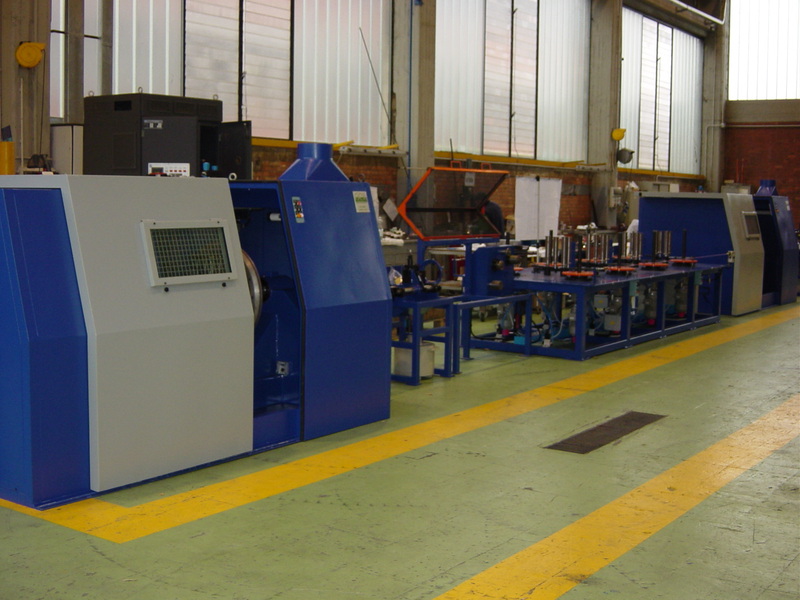 Some of the most interesting developments pursued by Eurodraw Wire Equipment have centered on continuing research into the principle of the double twist; not only for production of more or less complex strands but also, through indirect cabling, for production of wire ropes assembled with different layers of wires and/or strands. This has resulted in double-twist machines that assure extremely high productivity with improved resistance to fatigue; that are, in fact, far superior to results obtained with classic tubular machines. 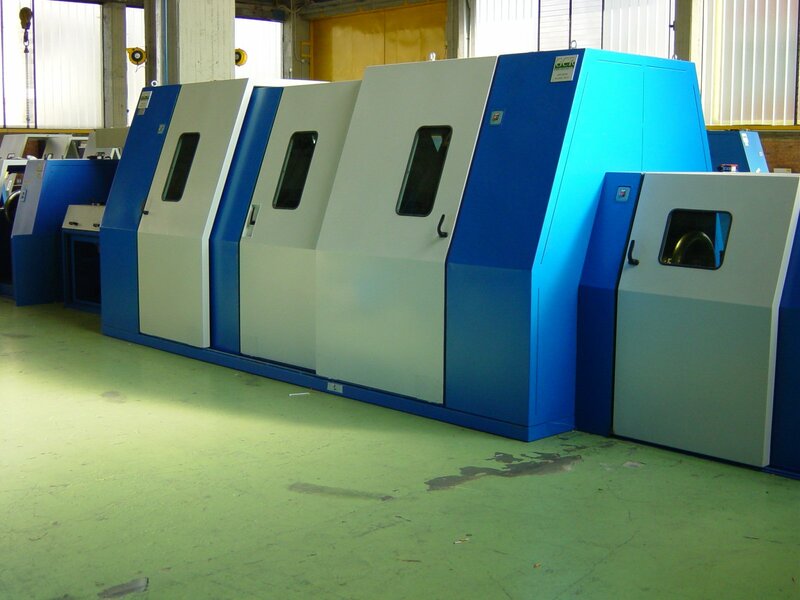 DT2: “in – out” stranding machine with two inner spools and two external spools for production 1x2; 1x3; 2+1; 2+2, 1 +6 ; standard, open, ST and HT. DT3: “in – out” stranding machine type with three inner spools and up to four outer spools for production: 1x2; 1x3; 1x4; 2+1; 2+2; 2+3; 3+2; 4+3; 4x4HE; 3x7HE; standard, open, ST and HT. DTU: “out-in” type buncher for production of 1x4; 1x5; 1x7; 1x12 ST and HT ; 1x19 ST strands and cord. DTS: “in-out-in” type buncher, for production 2+7; 3+9; 3+6 ST and HT cords. 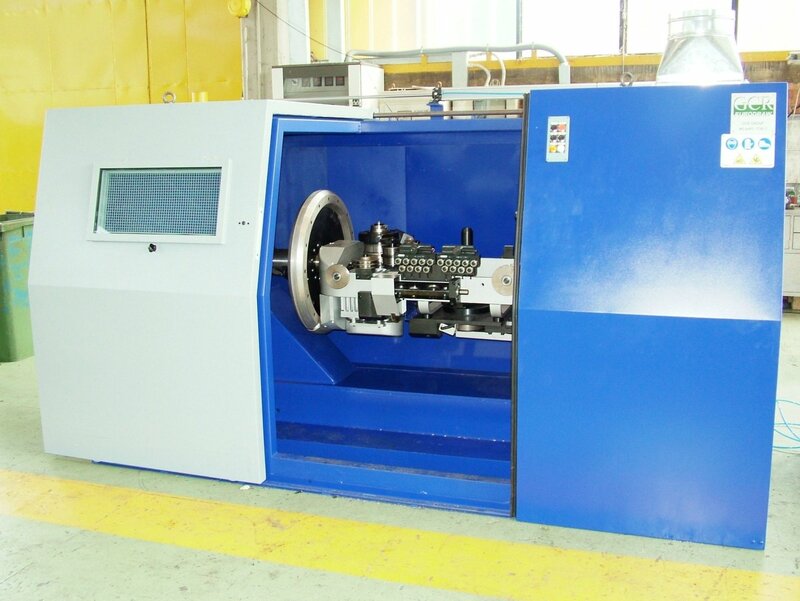 DTA: “in-out-in” type cabling machine, for production 7x3; 7x4; 7x7; 7x19; 3+9+15; 1x19; 1x27; ST and HT cords. Pay-off spools used on Eurodraw Wire Equipment machines vary depending on customer requirements, ranging from 190 to 400 mm flange diameter and weighing 20 to 140 kg. 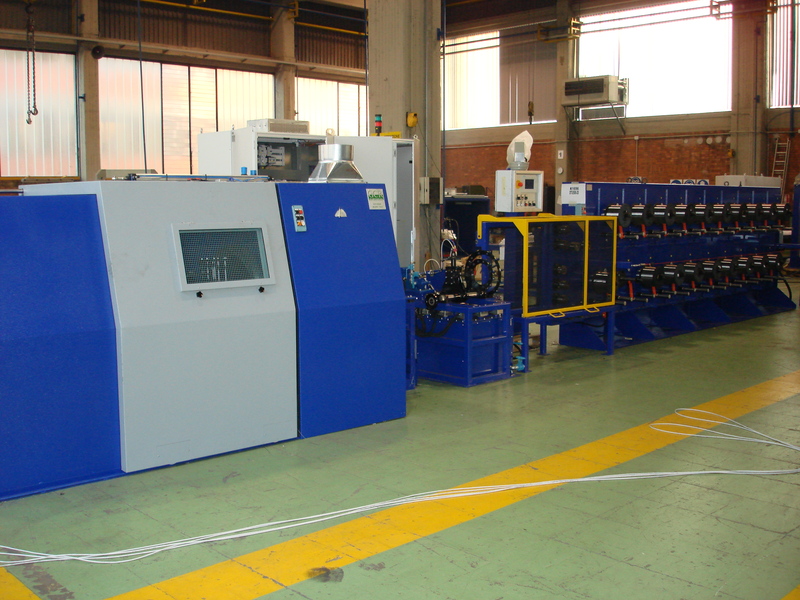 Production speeds of Eurodraw Wire Equipment machines are among the highest available on the market; while at the same time they are, for all practical purposes, absolutely silent during operation. Specific solutions have been adopted for tensioning/back pull of the filament and core pay-off wires or strands and for passage of the twists at deviation points of the wires/strands and their contact with the machine organs. Eurodraw Wire Equipment machines offer numerous adjustment possibilities to obtain a product with very specific characteristics (diameter, lay, linearity, twists, flare, break elongation, elongation to fixed load, elongation stiffness, etc.) that, in particular, are required by every producer of radial tires. 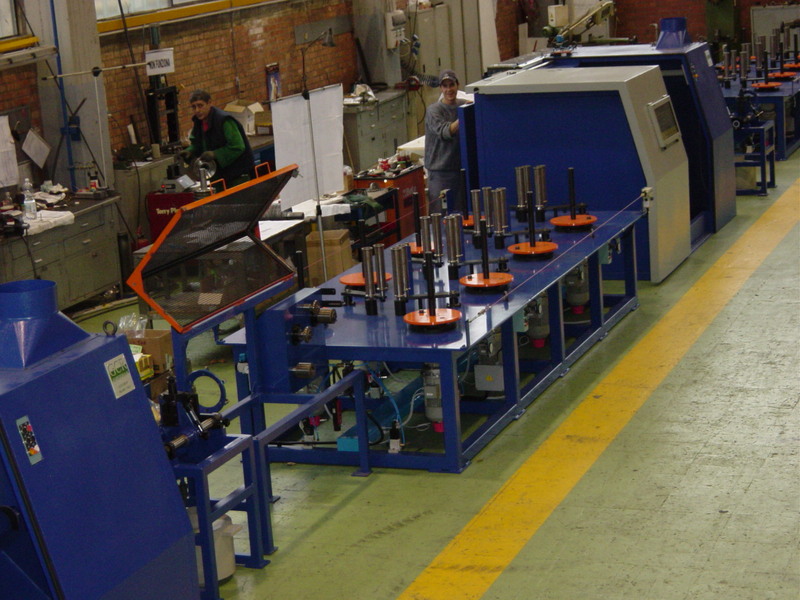 MV2: wrapping machine for cord constructions with diameters of 1.00 to 4.00 mm. 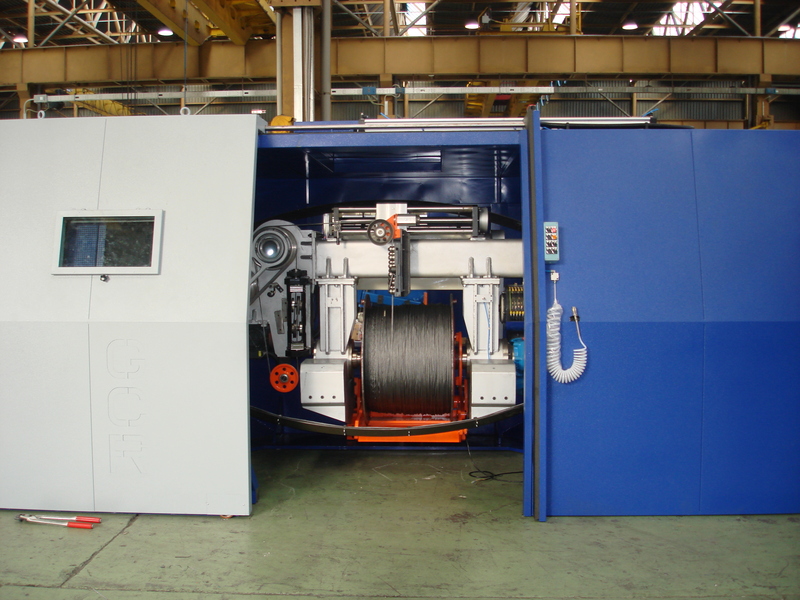 DTSFS: special double-twist “in-out-in” type cabling machine with bows, for production of multi-layer flexible shafts. This range of special machine is supplied with wrapping machines to apply a metal wrap on the shaft with cotton filling. Here too, pay-off spools used on Eurodraw Wire Equipment machines vary depending on Customer requirements and can range from 250 to 800 mm flange diameter and weight from 30 to 1000 Kg. Production speeds are among the highest available on the market. Similar solutions have been adopted for tensioning/back pull of the filament and core pay-off wires and strands and for passage of the twists at the deviation points of the wires/strands and their contact with the machine organs. 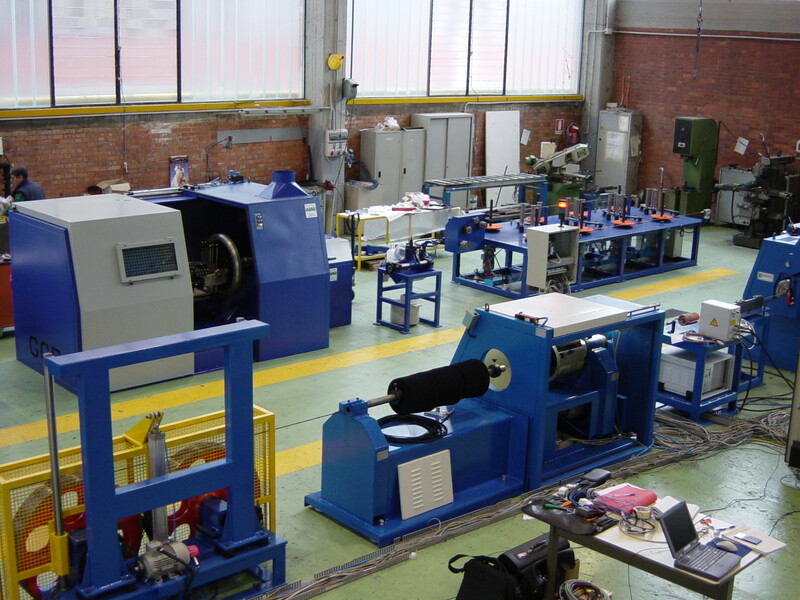 This range of machines is offered with the option of applying electromagnetic brakes, with dancer and sensor adjustment, or direct sensor readout of the pay-off pull. 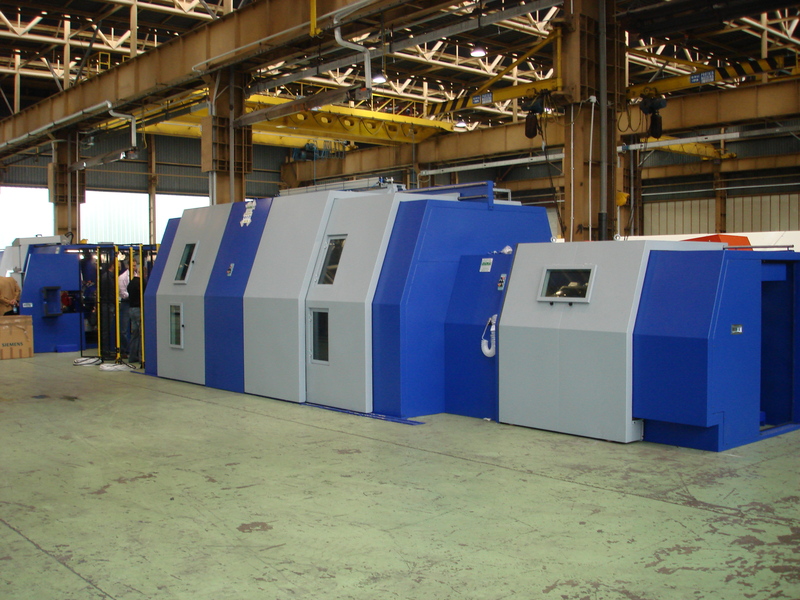 And these machines too are designed with multiple adjustment possibilities, to obtain products with the specific characteristics required by every user. The machines can also be supplied with special pay-offs for textile cores and specially designed heads for production of compact ropes.